by gillian claire: mother's day. and i thought today was a perfect day to share them. i love when unrealistic photos capture things that are absolutely real. i mean these photos are staged; this photoshoot was planned and posed. but somewhere deep inside my heart, this is exactly how i feel about my love for these little boys. it's all fields and soft light and flowy gorgeous twirly magic. we're just spinning and spinning in super slow motion love. 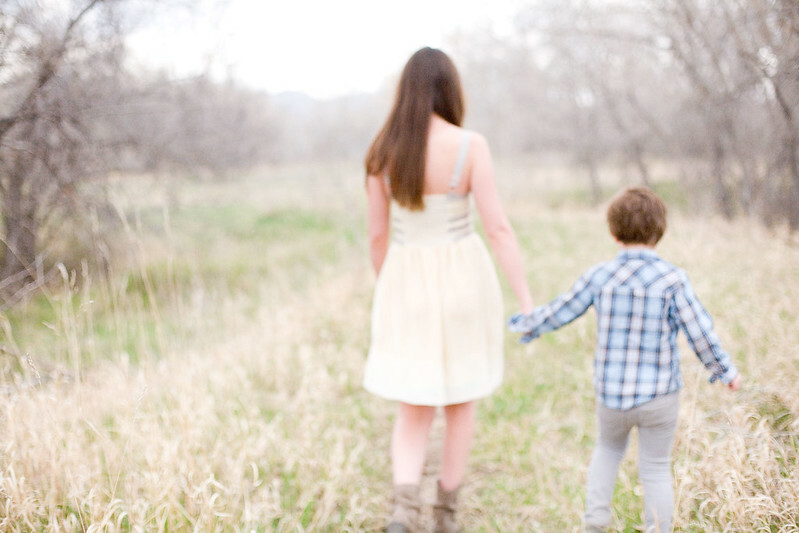 so yeah, it's not always expensive dresses with cowgirl boots + a little boy wearing his nicest flannel. that is a little bit premeditated and maybe slightly pretend. and i'm happy to capture them this way. totally agree! we can't always get the candid photos of life, but the staged ones hold all the emotions! Happy Mother's Day! Sometimes the planned pictures are the best! And, these are gorgeous and sweet and dreamy! I hope you enjoyed your mother's day. Thanks, Courtney - I hope you enjoyed your Mother's Day as well! This is beautiful and makes my heart smile! I love the love you have for your boys.